It seems that every time you turn around you have to create another account, and remember yet another password. This problem is easily resolved by creating a few passwords you can remember with ease, and cycling them through your different accounts. For security purposes, you should never use the same password with any account for too long. The problem with all of these different accounts and passwords is the requirements to set up the username and password. It becomes more difficult to use a handful of the same passwords and usernames when one site wants you to create a 25 word password that contains four words separated by a number and at least one symbol and a capital letter. In addition, there is a spy software that allows the user to collect your passwords without your knowledge. RoboForm is a password application that can resolve this problem for you. It is a new program that will give you unlimited access to all of your data. You can gain access from several different computers, smartphones, tablets, and any other mobile device. It is a flawless way to access multiple accounts and other types of data from the same place. The best part is you just need one license to do it all. This is a program for individuals who need to access accounts, bookmarks, safe notes, and data from multiple computers, laptops, and mobile devices at the same time. It is an easy way to keep a secure backup of all your important data. It is a convenient way to manage your data from anywhere. 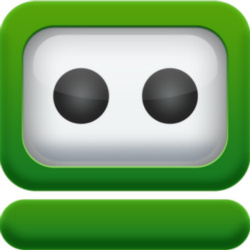 You can download RoboForm for a Windows PC or a Mac computer. When the installation is running, make sure you check the “Everywhere” option. You will need to create an account with RoboForm and install it on all of your computers and mobile devices. 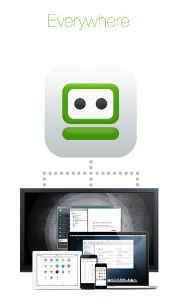 Login to the same RoboForm account on all computers. You can install the application using iTunes, the Windows app store, or Google Play. After you install it, the program will work the same way on every device you have it on. Every time you make a change to your application or data, it will automatically update on all of your computers and devices. The biggest concern with using a program like this is the security. Is this program a safe place for you to keep all of your secure data, passwords, and login credentials? For the makers of this program, nothing is more important than the protection of your data and the privacy of your information. All of your passwords are encrypted using a master password created by you. There are also strict guidelines in place that prevent anyone other than you from accessing your account. This means that no one but you will be able to get on your account without knowing what your master password is. This is a program that is completely free the first ten times you login. If you have more than 10 logins, you will need to upgrade your account. You can pay a one time license fee of $29.95 to install this software. To install it on additional computers, you will have to purchase more than one license.